Civic giant Howard Squadron remembered for morality – J. NEW YORK — Howard Squadron, an influential lawyer, Jewish leader and civic giant, has died at age 75. A former president of the American Jewish Congress and chairman of the Conference of Presidents of Major American Jewish Organizations, Squadron died of melanoma Dec. 26 at his home in New York. The Bronx-born son of a deli counterman, Squadron rose to influence in New York public affairs, representing such heavyweights as media mogul Rupert Murdoch, chairing and resurrecting Manhattan arts institutions and blazing trails in the Jewish organizational world. The senior partner at the New York law firm Squadron, Ellenoff, Plesen & Sheinfeld, he had the ear of presidents and opinion-makers. As the first non-rabbi to lead the American Jewish Congress — from 1978-84 — Squadron helped begin an annual gathering of mayors from around the world in Jerusalem. In 1999, at the last such conference he attended, Jerusalem Mayor Ehud Olmert awarded Squadron the Guardian of the City of Jerusalem Medal. Squadron's hire at the AJCongress was controversial for the break it represented with tradition. 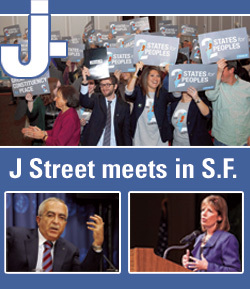 In the controversy, the group's executive director stepped down and Squadron hired Henry Siegman, who remained AJCongress' professional head for 16 years. Squadron "identified completely with the American Jewish Congress," said Siegman, adding that the organization was Squadron's "life's work." Squadron had ascended through the organization, starting out as a staff lawyer, joining the New York region as a member and becoming its chairman, and then going on to head the national organization. Siegman recalled a comment Squadron made in 1982, after Israel's Lebanese Christian allies massacred Palestinians in the Sabra and Shatilla refugee camps in Lebanon. An Israeli commission of inquiry found then-Defense Minister Ariel Sharon indirectly responsible for not foreseeing and preventing the massacre. "If you have ambitions about being a light unto the nations, you better be sure you've got a light bulb screwed in," Squadron said, according to Siegman. According to Siegman, Squadron believed that Israel must display moral rectitude. "I felt this comment was typical of his own moral standards," Siegman said, and reflected Squadron's "quickness and sharpness." One of Squadron's sons, Seth, 26, a film director in Los Angeles, also praised his father's moral fiber. Squadron had a "sense of moral correctness" that was "very central" to his personality, and it was inspired by Judaism, Seth Squadron said. Squadron passed that philosophy along to his kids, he added. Central to Squadron's work in Jewish politics was a commitment to "the continued peaceful existence of Israel," said another son, Daniel, 22, a senior at Yale. For years, in fact, Squadron appeared on radio and television, defending Israel. As chairman of the Conference of Presidents from 1980-82, Squadron led the fight against the sale of American AWACS surveillance planes to Saudi Arabia. It was the most extensive lobbying effort the group had ever undertaken, and came at a time when Israel's prime minister, Menachem Begin, was ambivalent about confronting the Reagan administration. Squadron later wrote that his proudest moment came at a dinner in his honor at the Knesset. "Mr. Squadron and I frequently disagree," Begin said, "but he is a proud Jew." Squadron is survived by his wife, Anne; his brother, Arthur; sons Bill, Richard, Seth and Daniel; daughter Diane; and eight grandchildren. 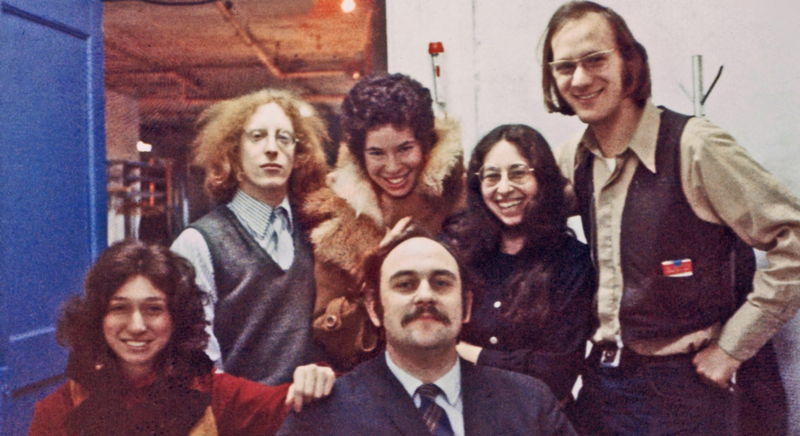 Contributions in Squadron's memory may be made to the American Jewish Congress, City Center 55th Street Theater Foundation, International Center of Photography or the Squadron Program in Law, Media & Society at Yeshiva University's Cardozo law school. 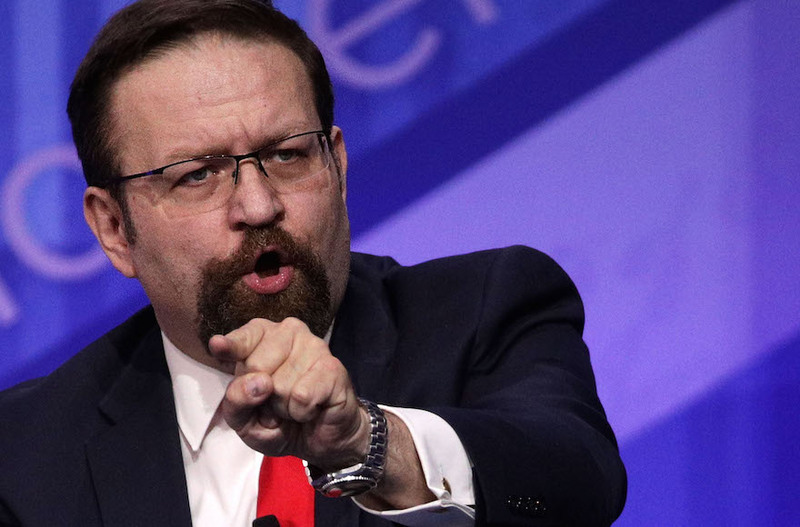 Gorka and Bannon: You're fired.